In the indie world of secret handshakes and underground brunch meetings, there's a specific phrase for the following complex process, as described by developer Colin Northway: "Apply to Steam, be rejected, release without it, get popular, be noticed by Valve, release on Steam." "This is the path Offspring Fling took before Greenlight and it's the path Incredipede will take after Greenlight. It's kind of sad because I thought the point of Greenlight is to specifically avoid the 'Offspring Fling' situation." Incredipede is inching its way up the Greenlight charts, but at its current rate it won't launch on Steam when the final game is ready at the end of the month. Northway attempted to reach Steam through traditional pathways, before Greenlight went live, but was told to wait for the new submission system. "Before Greenlight, when you pitched to Valve you were basically talking to one person," Northway says. "There were a couple of people at Valve who looked over a ton of submissions and you had to convince them that your game was special and should be on Steam. You could guess things about this person: They were probably short on time, passionate about games, and very knowledgeable. "We'll be looking to the community to provide us data on what they want to see on Steam. This isn't limited to just indie developers, but any publishers or developers that we don't know or games that we would only be guessing on how well they would do." "That's how I originally tried to get on Steam. I made a video, put together a bunch of press blurbs and a feature list, and talked about how Incredipede was similar to other successful games on Steam. 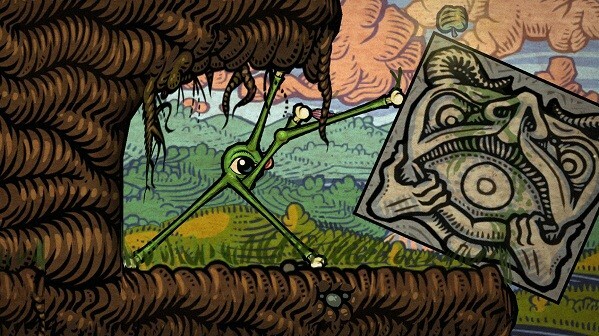 Unfortunately, by that time Valve was directing all new developers (who'd never had a game on Steam) to wait for Greenlight, and Incredipede was no exception. As far as I know Greenlight is now the only way onto Steam if you don't have a prior relationship with Valve." That last part is true – Greenlight is the only option for new developers to reach Steam, Valve's Anna Sweet says. "Greenlight is now the submission process for new developers and publishers on Steam. Games from developers and publishers who are new to Steam will go through Greenlight. We'll be looking to the community to provide us data on what they want to see on Steam. This isn't limited to just indie developers, but any publishers or developers that we don't know or games that we would only be guessing on how well they would do." Developers with previous games on Steam will continue to work with Valve directly, but even they may sometimes be directed to put games on Greenlight, if Valve isn't sure they'll be successful and wants feedback from players. Valve sees Greenlight as a tool for developers to not only get on Steam, but to build a community prior to launch. "As this system continues to evolve, we hope that it will serve a much greater role in the development and marketing of games, rather than just a pathway to getting into the Steam store," Sweet says. Northway has been involved in indie development for years – in 2008 he released Fantastic Contraption and he was part of a panel at this year's Failure Workshop at GDC, where he mentioned Incredipede's development was going smoothly. Now Incredipede is ready for public consumption, and he's missing an integral part of his launch plan: Steam. "Of course it would have done even better if it launched on Steam," Northway says. "There is a feedback loop of excitement when a game launches; the more people are excited then the more people get excited. Every log on the fire makes every other log burn hotter. It would have been great to have Steam be part of that event." Incredipede's Steam absence might be Greenlight's fault. "We're approaching Incredipede's launch at the end of October and no longer have enough time to integrate the Steam APIs before then, so it looks like we've missed the window to launch with Steam," Northway says. "If Greenlight didn't exist, Valve might have accepted Incredipede earlier and it would be launching on Steam. Instead Incredipede will do what a lot of other great games are going to do: launch without Steam, get a bunch of players, and then leverage the fanbase to climb the Greenlight ranks and release on Steam later. "Greenlight currently gives an advantage to games that are already released and have active communities, or are especially good at driving people to their Greenlight page. Since Greenlight is an ordered list, those games out-compete games that are great, but aren't well known." Northway will never know if Valve would have accepted Incredipede via its traditional channels, and that very doubt fuels a fading trust in the system. "I started out hopeful about Greenlight," Northway says. "Sure, no one has figured out how to make a public-voting system that really works, but this is Valve! They've figured out all sorts of stuff that no one else has. Now I'm starting to doubt, and to wonder if it's possible at all." Valve is commonly regarded as one of the "good" distributors, with a more open system than console companies, quality community feedback and a virtual monopoly on PC gaming hubs. As Northway says, if anyone should be able to make a new indie system work, it's Valve. But it's also not that simple. "Asking the public to judge ideas is hard," Northway says. "Game designers, publishers, people who judge ideas professionally have a pretty bad track record at it. It's easy to judge after the game is released but by then it's too late. Finding good games is a genuinely hard problem. My gut feeling is that they should go back to having a passionate, knowledgeable, Valve employee do the judging. Instead of giving it to charity, they could keep the $100 Greenlight fee and use it to pay someone to spend a few hours playing every game." "This is Valve! They've figured out all sorts of stuff that no one else has. Now I'm starting to doubt, and to wonder if it's possible at all." Adjusting to a major change takes time, and when a new system eventually, quietly replaces the old, most people can't recall how it all worked before – regardless of whether it's better or worse now. Valve is in control of this process with Steam Greenlight, and many people still trust it to make the best decisions in the long run. Northway doesn't want to burn any bridges by speaking out. After all, "it's Valve." "As an indie game author I'm independent of a lot of things, but there are still a few big gatekeepers and I want them to like me," Northway says. "Talking about the not-so-great aspects of Steam probably isn't going to win me any friends there, but I know they're taking an iterative approach to Greenlight, as they do with everything, and are generally open to feedback on the new system." Incredipede is scheduled to launch for PC, Mac and Linux at the end of October via its official website. Pre-orders get 20 percent off ($12), early access and other goodies – including a Steam key if it gets greenlit.